Winnie has the best personalitly in the world – ever! She is so energetic and happy about life and people and family and being outside or being inside with her bones – its all good! Winnie loves being in an active family with lots going on – kids, running, active people, playing. She is happiest when there is a lot going on. Winnie would love a male playmate that is her size – smaller dogs are too fragile for Winnie’s very hyper playful activity level. She currently lives with two smaller male dogs who are feeling their age and Winnie does not understand that she is much bigger and energetic. She also lives with a cat who she is very respectful of. Winnie loves to play outside and run in her fenced yard. She has a neighbor dog, who she runs up and down the fence with. Winnie is estimated to be about two years old. She is up to date on shots and ready for adoption. 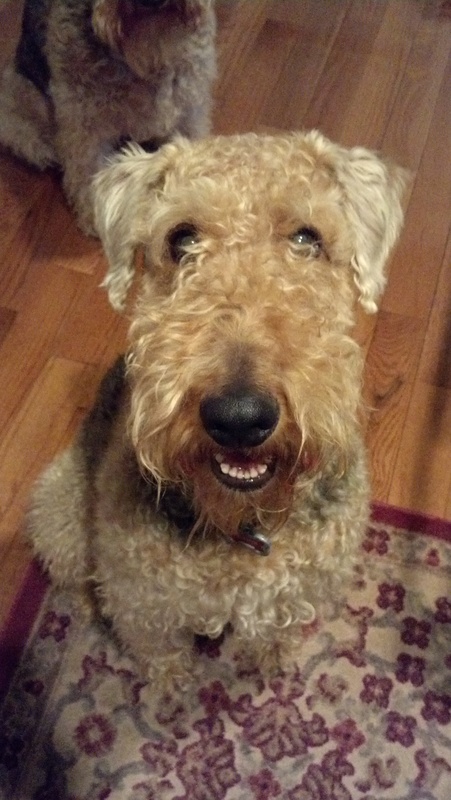 We have a Welsh Terrier that lost his mate, Angie a 90 pound Orang. We live in Florence Oregon by the ocean and a dogs paradise with no poisonous critters. Our beloved Angie died of Lymphoma. I am seeking another mate for Tanner the terror. We have a back yard and the door stays open 24/7 except in the winter. I cook their food in their own kitchen and have the best of care. Where you are located I do not know. Please contact them and they can help you. 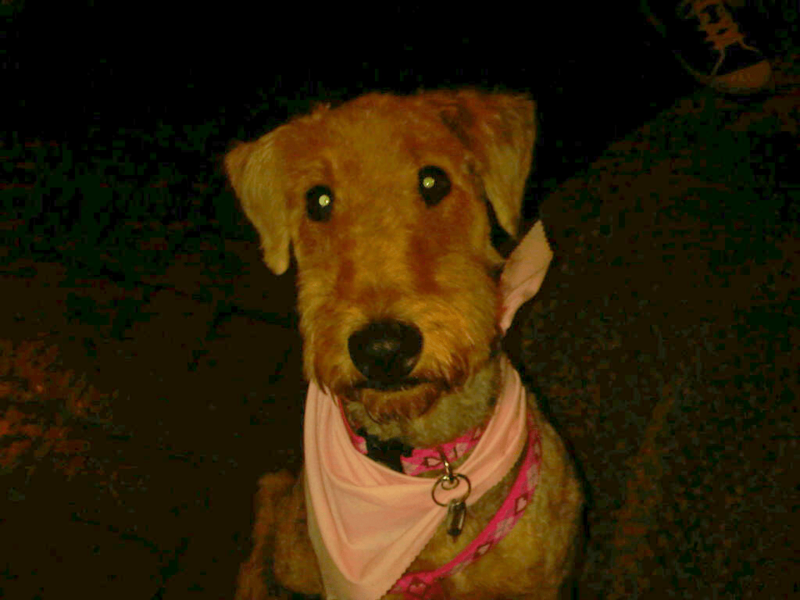 Good luck and thank you for considering a rescued Airedale.